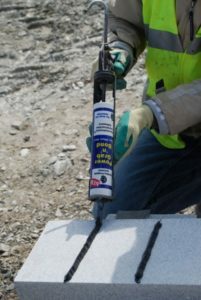 Powerful adhesive for demanding gluing jobs! What can you GLUE with Power Grab ‘n’ Bond ? 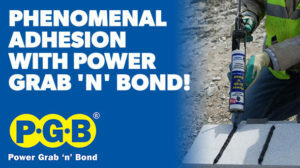 Power Grab ‘n’ Bond is a unique solvent free construction adhesive with an exceptionally high initial grab followed by an incredible waterproof bond. 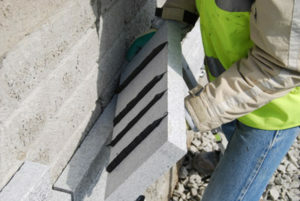 It can be applied to concrete, most stones, ceramic, marble, wood, gypsum board, metals, lead, glass, mirror, plastics (excluding Polypropylene) and any combination of the above without any additional fixings. Unique bonding capacity / High U.V. and fungus resistance / Resistant to seawater, chlorine and most chemicals / Fast curing / Cures with no shrinking / Remains flexible / Resists vibrations / Bonds on damp and dry surface. with Power Grab ‘n’ Bond! If you have an adhesion problem, don’t come unstuck talk to the glue experts!